Moth Man -- 2012 Season. 2012 Season: This spring we had an incredibly warm March in Madison Wisconsin, followed by a normal April (that felt cold in comparison). Perhaps this will cause things to happen sooner. 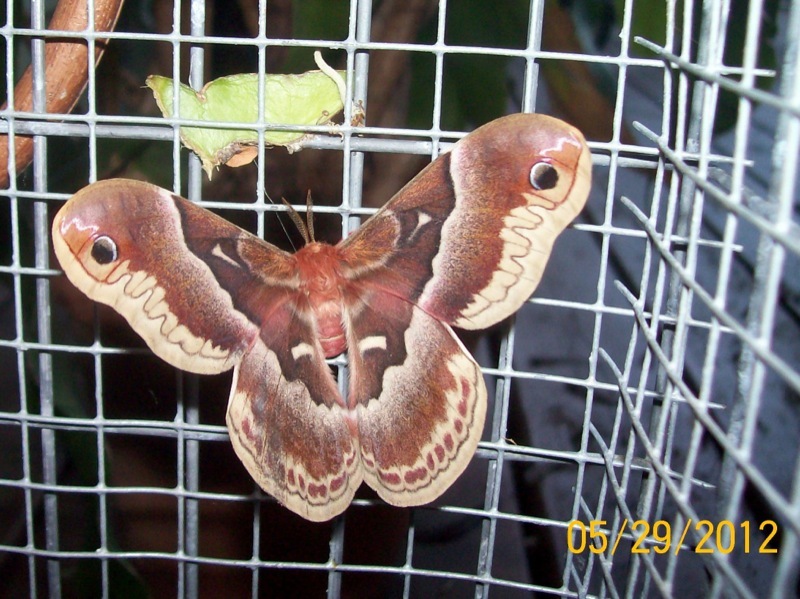 First Cecropia (male) emerged May 28. First Promethia (female) SEEN as emerged on May 28 - I may have missed this one coming out because there are already egg masses in the cage. 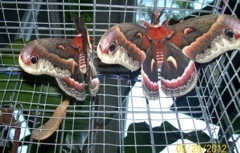 Second Cecropia (male) emerged May 29. 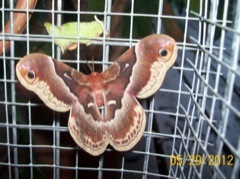 First Cecropia cocoon on July 24, 2012 (earliest I have seen by nearly one month)!!! Cecropia feeding on Black Walnut. This year the walnut cecropia are doing much better than apple. I think it's because the walnut is in much better shape during this drought - perhaps due to the deep taproot - than the apples. Walnut leaves are lush where the apple leaves are small and very dry looking. First Moths emerge in Madison, WI. 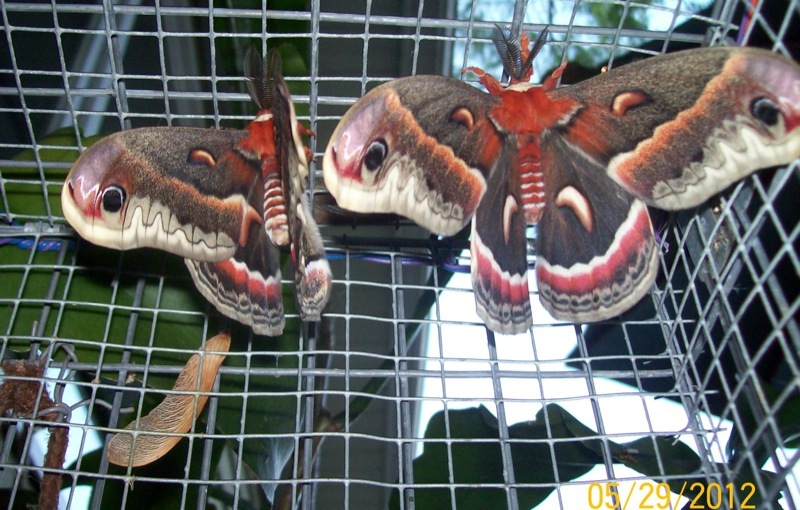 Two Cecropia males emerged on May 28th and May 29th. This is the earliest I've seen these emerge and may have been caused by the warm spring here in Madison. We'll wait and see if the natural community is in sync. This female may have come out earlier than we saw. There are egg masses in the cage and no sign of a male having had come in. Females will lay eggs whether they're fertilized or not (just like chickens).